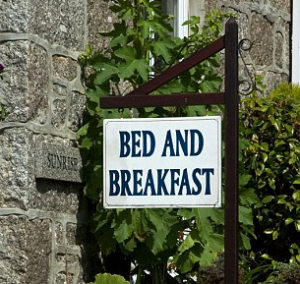 Choose a Bed and Breakfast or a Hotel? Welcome to Bootin, when we say ‘Enjoy your stay’ it’s more than a wish – it’s a promise. Our mission, and our passion, is to help you find Bed and Breakfast accommodation that lives up to Britain’s legendary hospitality. We launched this service in 2016, after hearing about and living through too many horror stories to do with substandard B&Bs. We know that there are thousands of beautiful, welcoming and affordable B&Bs in the UK, so we decided to bring to together in one place, so that you only have to choose from the best of the best. Each B&B in our database has been through a rigorous selection process, so the quality of your stay is assured. In this quick-fix modern world we often find ourselves settling for less than the best, simply for the sake of convenience. At Bootin we aim to keep your search for a B&B quick and convenient, while only offering the highest possible standards of accommodation. Instead of the anonymous feeling you get when going with a hotel chain, where you’re just another faceless consumer, a stay with one of the nation’s many top-class B&Bs is always a unique and personal experience. Every guest at a Bootin B&B is welcomed like an old friend, and benefits from the full attention of their congenial hosts. Who better to tell you the best sights to see, shops to visit, or pubs to frequent than real locals like your hosts? For them, running a B&B is about much more than making beds and cooking meals; they’re living, breathing travel guides who can help plan your itinerary or fill you in on local history and legend. For the time of your stay in your host’s family home, you’ll be regarded as one of the family – you may not want to leave. So if it’s a golfing holiday in the Scottish highlands that has taken your fancy, preferably with long fireside chats over great whisky every evening, we can point you to the perfect B&B. Perhaps you’re looking for a cosy place to lay your hat after long walks in the Lake District, or a pet-friendly home near Stratford-upon-Avon where you can indulge your passion for Shakespeare – we have just the places for you. With home-cooked meals and personal service you’ll never get in a big hotel, the UK’s B&Bs are waiting to make your stay a memorable experience. It’s often said that there are no strangers, just friends who haven’t yet met. We can’t wait to meet you.